To address opioid and heroin addiction, AmeriCorps members will be hired this fall across the state to work on addiction prevention. With the opioid epidemic reaching unprecedented national levels and more heroin flowing into Southwest Colorado, additional addiction-prevention work is set to start this fall. In October, 12 AmeriCorps members will be hired across the state as part of the Colorado AmeriCorps Community Opioid Response Program, and two will be hired for a year to work in Southwest Colorado to organize prevention events and education. The program is funded through federal and state grants. AmeriCorps members will organize educational events taught by experts for doctors and other prescribers around the use of opioids, such as oxycodone. Members will also organize education around safe storage and disposal of medication for the community and events for students, said Kathleen McInnis, executive director of Southwestern Colorado Area Health Education Center. “There needs to be a multi-pronged approach,” she said. She would also like to see if there is community interest in forming a stakeholder group to work on solutions for Southwest Colorado. The group could include health departments, educators, law enforcement, youth advocacy groups and prescribers, she said. San Juan Basin Health does not have a prevention program focused on opioid use. “Heroin and opioid abuse are impacting this community, but people just don’t see it as much,” McInnis said. In some cases, people who received prescriptions for opioid painkillers became addicted and started using heroin, which is cheaper, said Lt. Ryan Engle, who leads the Southwest Drug Task Force. “It’s just a natural progression of the addiction,” he said. The Centers for Disease Control and Prevention estimates from 2015 to 2016, drug overdose-related deaths increased 21 percent. A record was set last year for drug overdose deaths, and about 50,000 of the 64,000 drug overdose deaths were related to heroin and other opioids, the CDC reports. In Colorado, 912 people died from overdoses in 2016, and a majority, 758, were unintentional, according to data from the Colorado Department of Public Health and Environment. The number of overdose deaths has been growing steadily since 1999, when there were 345. Last year, heroin was responsible for 228 deaths and opioid-related deaths totaled 300.. The heroin-related overdose rate for the state in 2015 was 2.9 people per 100,000. An opioid overdose death rate is not available for Southwest Colorado, but it is lower than the state average, according to the Colorado Department of Public Health and Environment. In La Plata County, prescription drug sales on the street have declined, while heroin is becoming more available, Engle said. The Southwest Drug Task Force focuses on regional distribution and high-level drug trafficking, and it includes the Durango Police Department, La Plata County Sheriff’s Office, Bayfield Marshal’s Office and the Ignacio Police Department. Engle described the heroin problem as worsening. “The only thing that is going to help at this point is a different approach,” he said. The Southwest Drug Task Force seized 85 grams of heroin in 2015, rising to a staggering 3,796 grams seized in 2016, he said. For a first-time user, a typical dosage is 0.1 gram, but the usage and tolerance level depends on the person, he said. To encourage prevention, the educational events for prescribers will likely cover new tools available, including a secure database that allows them to see whether a patient is filling an opioid prescription at multiple sites and other data that allows them to make informed decisions, McInnis said. About 25 years ago, there was a push to prescribe opioid painkillers because it was believed that if a patient needed the medication, it wouldn’t lead to addiction, McInnis said. “It was a really bad message to be sending,” she said. Since 2015, the rates of opioid prescriptions across the state and in La Plata County have been falling, according to state health department data. AmeriCorps may also organize more events to encourage patients to drop off old opioid medications at safe disposal sites across the region, she said. One of the AmeriCorps members will work with the health education center in Durango. The other will work along the Western Slope and spend time in Ouray and San Miguel counties part time. McInnis expects that AmeriCorps members hired for these positions will have a background in community organizing and health. 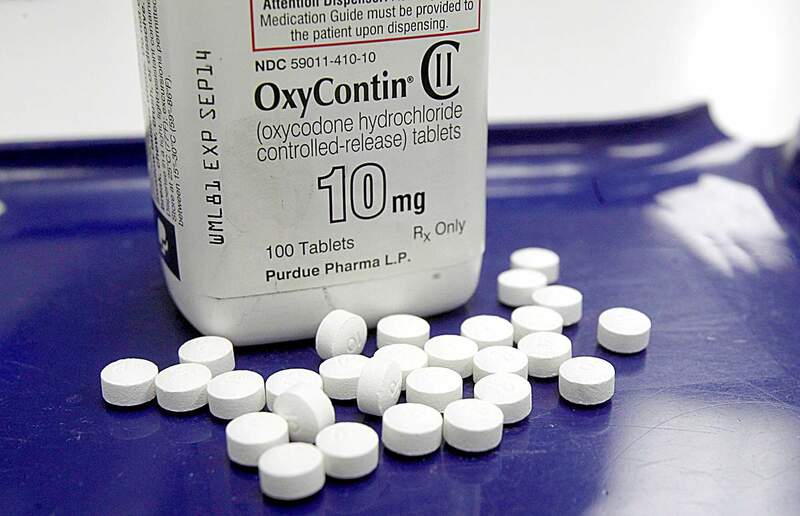 Expired or unused pain medications can be dropped off at the Bayfield Marshal’s Office, Durango Police Department and Southwest Memorial Hospital in Cortez, according to the state health department. mshinn@durangoherald.comThis story has been updated to correct the number of opioid related deaths in the state. In honor of International Overdose Awareness Day, an event will be held from 10 a.m. to noon Saturday at Iris Park, 1235 Camino del Rio. Representatives from Axis Health System, the Durango Police Department, Southern Rockies Addiction Treatment Services and other groups will speak, followed by a short walk to remember those who have died because of an overdose.